Your tailor-made Italy trip is waiting for you. And you, what you are waiting for? Come with us and take a walk into the countryside. To help you choose wisely your photography guides while you are planning your Italy trip, we put down some of the reasons you should choose us! We know these locations and towns like anyone else. 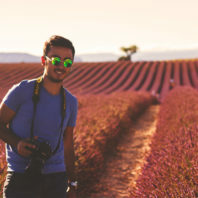 We know which ones are the best hotels for you to live the true Tuscany experience, we know which ones are the best restaurants in these little towns and of course we know all the famous photographic locations that make this place so special! With us, you’ll have the chance to photograph both the famous locations of this land and the hidden gems that the majority of the other photographers don’t even know about! While there are some periods of the year where Tuscany gives its best (like Spring or Autumn), these places are beautiful every day of every months, and we will give you the opportunity to see them whenever you want and you can. We assure you won’t be disappointed, no matter the time you will be here! You just need to choose the date, we set up the rest for you. We want to make sure that you will have a visible growth in your photographic knowledge (and style) during your stay and we will do anything in our power to teach you everything you need to boost your photographic vision and your abilities, both on-the-field and in postproduction. We set the limit to 5/6 people per week and this gave us the ability to perfectly follow every member of the tour without any rush. We want to be sure that you will always have the right attention and we want to be there if you have any doubt, at any time! While we set a maximum limit of people per week, we also want to give you the certainty that your tour will happen no matter what, even if you are alone! There is no chance of a late cancellation of your tour from the moment you make the payment on the “Book Now” page. Even if we are locals, we mastered the english language, giving to the people from all around the world the chance to come here and discover the places that only a small part of photographers know! We want you to relax when you will be here with us; not having to worry about accommodations, meals, etc; in the prices that you will see listed under our workshops are included both the accommodations and the meals! We take care of everything for you. Well, at this point shouldn’t be a surprise, but.. Transports are included in the price too! We will come to take you at the Pisa or Florence airports and we will take you there again when the workshop will finish, so that you won’t need any taxi, bus or train. And of course, all the transports once we are on the location are included too! I'm Leonardo Papèra, the CEO of Tuscany Photography Tours and a full-time professional landscape photographer. During the years I won various prizes in several international contests, such as the Montphoto, the XVII Memorial Maria Luisa, the International Landscape Photographer of the Year, the Global Arctic Award and the list goes on; my images have been published on magazines all over the world such as the National Geographic Traveler, Digital Camera Magazine and Digital SLR Photography.